So it’s the 3rd day of May… not sure where feb, march and april went, oh wait maybe april washed away. I hope down the Arkansas River far enough to allow the beauty to spring forth… oh wait, there wasn’t a spring, okay to sizzle in the sun. Either way better than the rain. Most of you know about the tornado’s in Alabama… that has cause a lot of stress in our household… unspoken stress, and no untrained eye would catch it, but I’m an expert on the Sanford fam…. When moving here… and when i say here it means anywhere but Bama for we seem to move a lot… hopefully here we can put some roots down… in our hearts… not like a foundation in sapulpa… for it still sets there… and not with us . But this disaster is hurting our hearts. We didn’t think that when we moved we would ever long to come back, but after last week…. that’s the only place we want to be. To help care for our home. 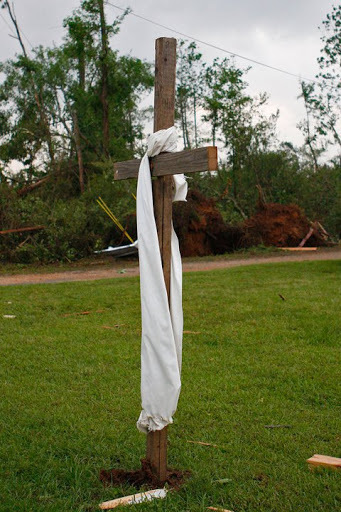 Please pray for Bama, their hurting, their still searching… and finding, their cleaning, not yet rebuilding. Pray they find healing from the Creator to repair and rebuild their lives.